I bought this perfume on Black Friday because it was $10 (not only am I a perfume freak, but I cannot pass up a sale lol), and I actually like it a lot! It goes on kind of strong/spicey-ish, but after about 15minutes it mellows out to a soft floral scent with a little bit of edge! It lasts all day, and it’s also one of those perfumes that lingers after you walk past (yesssss)!! I would definitely recommend this scent to someone if you’re looking for a not too expensive day-to-day scent. So if you get a Sephora gift card for Christmas, here’s one thing you can spend it on! 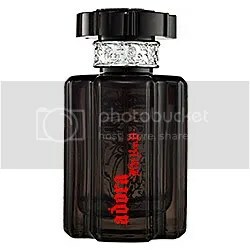 Adora by Kat Von D, $18 – Click here!